The manufacturing industry is rapidly evolving and manufacturers and distributors are looking for new and different ways to implement lean processes, recruit and train the right workforce, and implement cost-effective risk management practices. The Parker, Smith & Feek Manufacturing Practice Group provides consultation and insurance services to this industry, focusing our attention on the issues that are most important. These can include workforce acquisition as well as legislative, ergonomic, trade, technology, and energy trends. Our professional team has the resources, expertise, and drive to advocate on our clients’ behalf and address the wide range of risks facing today’s manufacturers. Through our iWORC™ program, we combine wellness, risk management, and workers’ compensation results to provide more holistic recommendations that drive down operating costs, and keep your best workers healthy and happy. Round-the-clock access to the Risk Management Center provides easy access to training materials, communications resources, and tracking capabilities, helping your risk managers stay organized and ahead of the curve. Additionally, our proprietary inventory program protects our clients’ products from the moment they leave the warehouse, during transportation, and up until final delivery at the customer site. 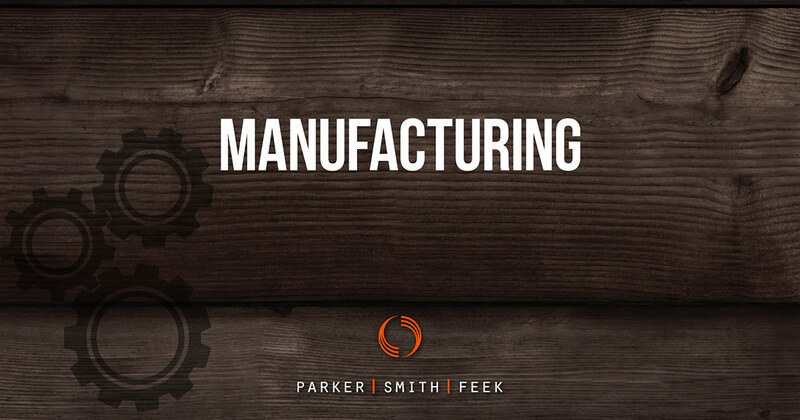 As the dynamic manufacturing industry continue to advance, Parker, Smith & Feek’s Manufacturing Practice Group can help your organization lay the plans to persevere and succeed along with it.